We will have openings for 2019 in the tuba/euphonium studio at Oklahoma State University. Scholarships are available for both undergraduate and graduate students including in-state tuition waivers for students not from Oklahoma. 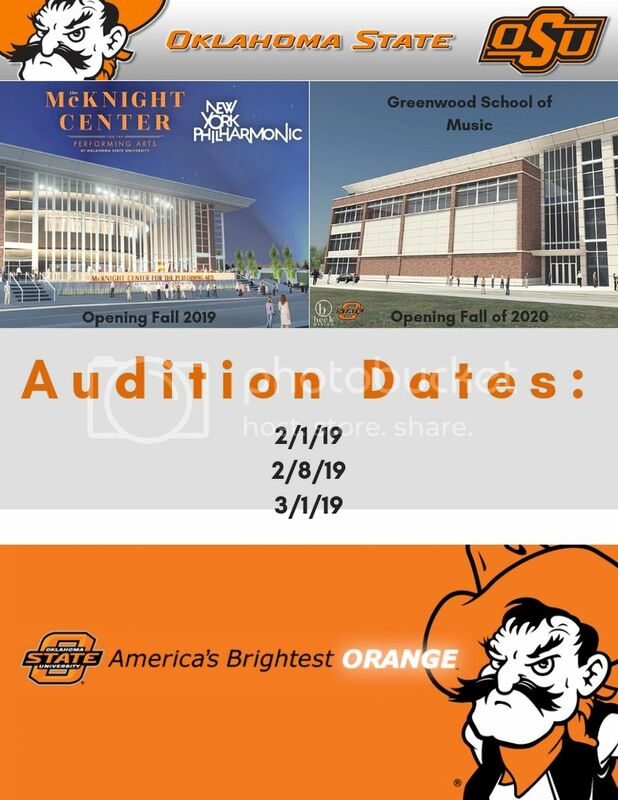 We have so many exciting things upcoming at OSU including two brand new performance halls, the new Greenwood School of Music building, and concerts/residency with the New York Philharmonic. Yes, really, THAT New York Philharmonic. Check out the story here: https://nyphil.org/whats-new/2016/september/new-york-philharmonic-oklahoma-state-residency-partnership. It's a great time to be a Cowboy! Please feel free to reach out to me with any questions!